Tailor Skincare is a New Zealand company that I have been curious about after reading countless rave reviews online. Tailor offered to send me their masque to test out and share my thoughts, and I couldn't pass that up! 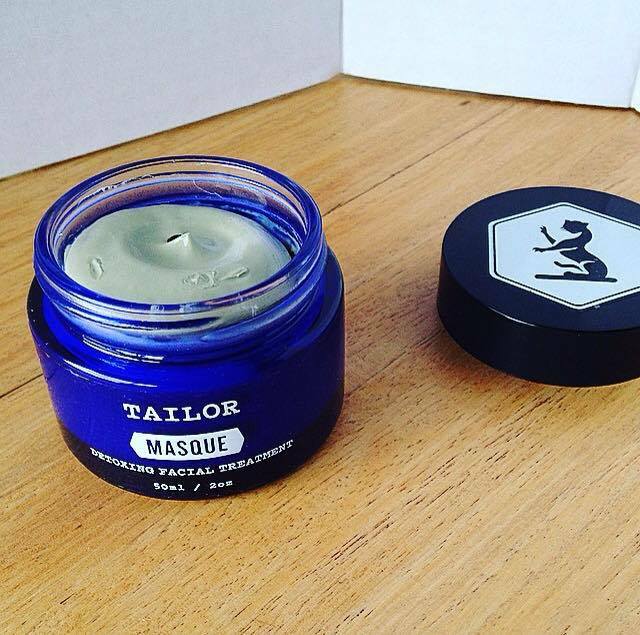 Tailor's masque, like the rest of the Tailor range, comes housed in beautiful blue glass packaging. The packaging is so beautiful that once I have used all of my mask up I will be upcycling the glass jar and planting a succulent in it. The mask comes as a ready-made wet clay product with a beautiful scent (owing to the kanuka essential oil I presume). I have been reaching for ready-made masks over powder masques lately due to the easiness of use, and the more luxe feel I get while using them. 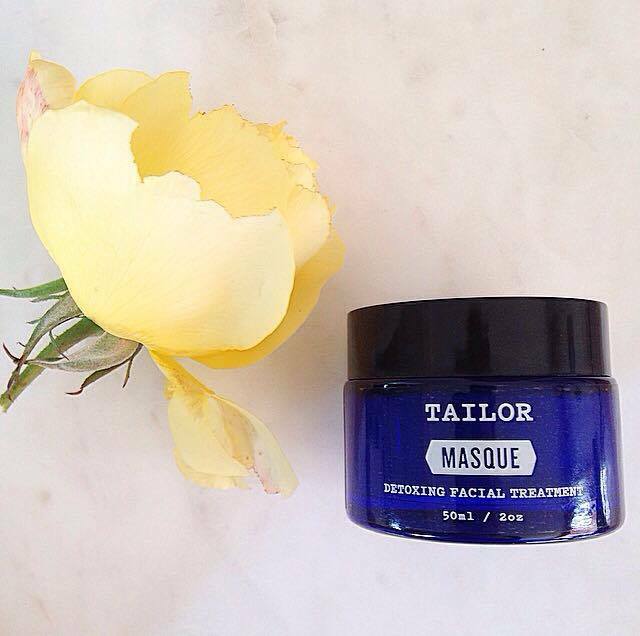 Tailor's masque is the ultimate detoxifying facial treatment for break out prone skin containing deeply detoxifying NZ sourced bentonite clay with purifying and soothing organic kanuka essential oil. 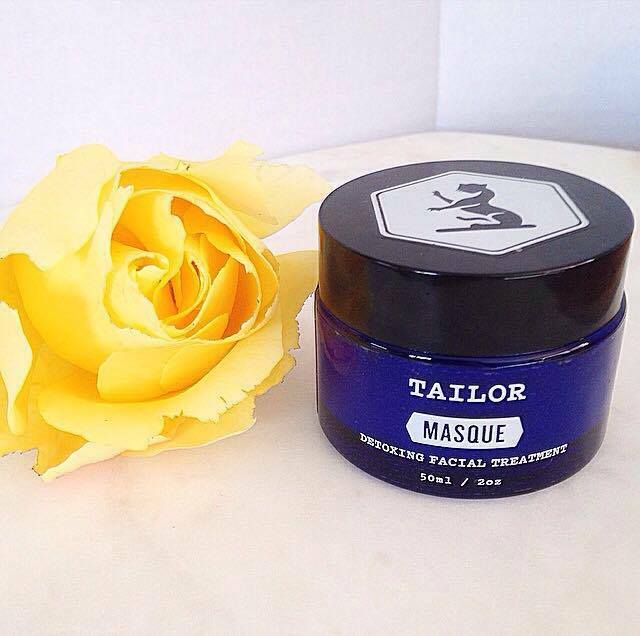 Tailor Masque’s effective formula helps to unclog pores leaving your skin feeling smooth, clear and deeply cleansed with less breakouts. 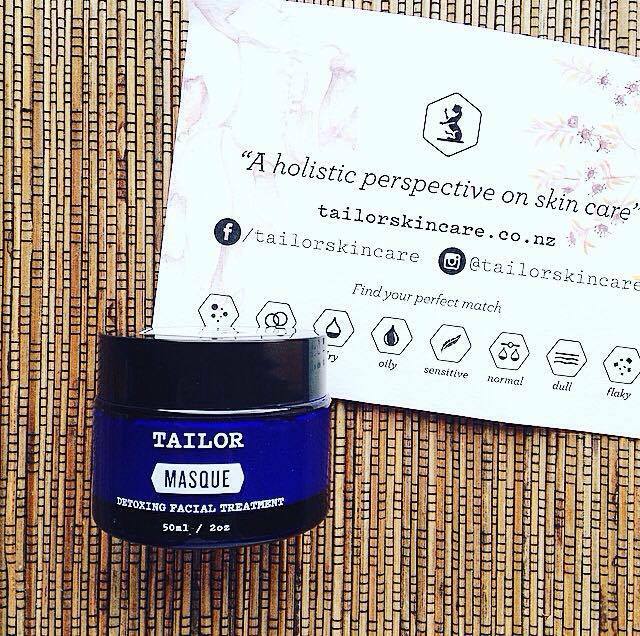 Tailor's Masque has a simple ingredient list, which I appreciate, as the less extensive the ingredients the less likely it is to contain an ingredient your skin is sensitive to. This masque contains bentonite clay as the second ingredient listed, after water. Bentonite clay works synergistically with the skin to regulate sebum production, clearing the skin and reducing breakouts. Bentonite clay leaves the skin feeling soft, smooth and detoxed. This masque also contains Kanuka essential oil; an oil originally used in traditional Maori medicine for relief of inflammation and skin diseases. It is known for its antibacterial, antifungal, and anti-inflammatory properties, and treats acne, rashes and eczema. Dehydroacetic acid and benzyl alcohol are added to this formulation to provide preservation, while being gentle on the skin. Full Ingredients: Aqua, bentonite, dehydroacetic acid, benzyl alcohol and kunzea ericoides (nz kanuka essential oil). To use this masque, I apply as directed to clean, dry skin, applying more to breakout prone areas than the rest of my face. I leave on until completely dry and then remove. What I love about this masque is although it dries completely, it hydrates quickly again when water is splashed onto it, making removing it a breeze. This mask works so well on my acne-prone but dry skin. It tackles my blemishes without drying my skin out, and brightens my skin. I can really see it drawing the gunk out of my pores, and it leaves them less noticeable and my face more refined afterwards. I would recommend this mask to anyone that suffers with acne-prone skin. This mask can also be used as a spot treatment for any pesky pimples; simply apply a dot to the area, wait for it to dry and then rinse off. 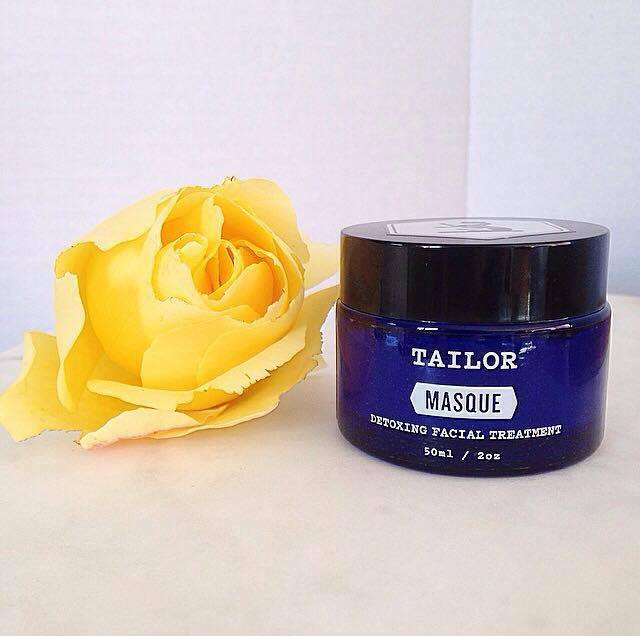 To buy Tailor's masque or for more info, check out Tailor's website.